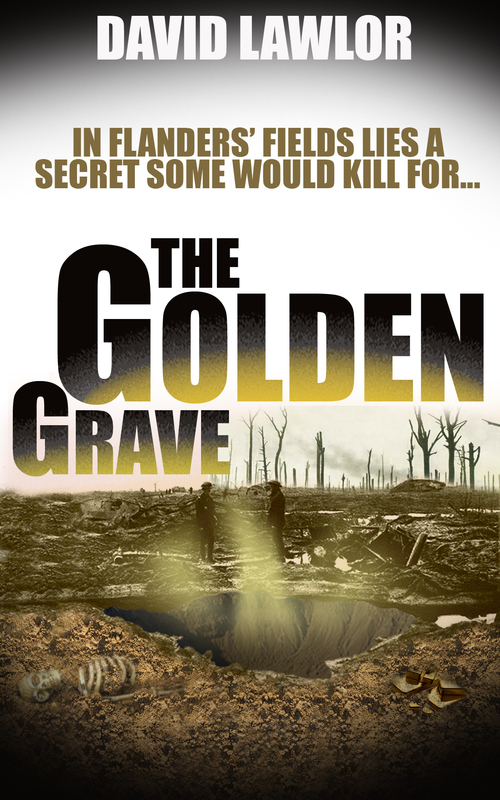 “Golden Grave” by David Lawlor is a splendid thriller in a very interesting historical setting. A prologue introduced the title theme with a short and gripping description of a train journey in Flanders in 1917. Loaded with a special “24 carat” cargo the train comes under fire and comes to an unscheduled stop. Jumping forward in time to 1920 the author ‘returns’ to Liam, hero of his previous book, “Tan”, a man on the run from the law. Wanted by the police in Ireland he fled to Liverpool, where he meets up with Ernie, a soldier friend of his who has plans to go to France to locate the gold lost somewhere on the battlefields in France, asked for help in this matter by the dubious Sabine Durer. The relationship between Sabine and Liam is complex as they once had an affair that he ended but Sabine needs the soldiers to find her locate the treasure. This part of the novel is my favourite part, as Lawlor describes in great detail and with a lot of knowledge the aftermath of the war: the recovery of corpses, made difficult by the likely presence of unexploded mines and explosives. It is an interesting aspect of war that is lesser known and handled in literature. It is made all the more real and emotional by the fact that the soldiers now digging once were on these battle fields and every corpse they find could be one of their old mates. As they are literally and metaphorically digging the relationships, both between the group and with other people in the area become more tense and filled with distrust. If the gold is discovered, who will have their share in it? Lawlor is a formidable historian who knows and writes well about the weaponry and the way we would have to imagine the battle fields so soon after the war but he also has created a set of intriguing characters that can drive the plot forward easily and at the same time keep the suspense. I found myself quite drawn into the unfolding events and turns, some obvious and others more unexpected. Having read and enjoyed “Tan”, the first instalment of this series, I found this book a great sequel in that it built cleverly on Liam’s past but took us into an unexpected direction. Lawlor’s command of English is immaculate, resulting in great and realistic dialogue and a descriptive style that brings the scene to the eye like a movie script, in fact, I could easily see this book being made into a very successful film. This book is great entertainment as a thriller as well as a piece of history and if you like a good treasure hunt or enjoy novels set in the past then this is a must read. It is hugely enjoyable. My day job is as an editor with a national newspaper, but in the past six or seven years I have been bitten by the writing bug. I love it. So far, I have written four novels, but have as yet just published one of them. I am now embarking on my fifth. all of my books are set in Ireland, although the first is also set in America in the 1840s. 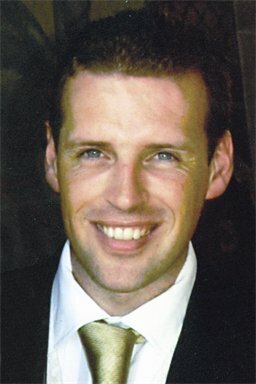 I live in Co Wicklow, the Garden of Ireland, and am married with four children. When I’m not writing novels I like to add to my blog – historywithatwist.wordpress.com – which celebrates the bit players of history and some of the unusual escapades many of them have got involved in. Drop by for a nose around if you have the time. I’ve been writing for about seven years now. I have always been interested in Native Americans and when I came across the story of the Choctaw and how they helped raise money for the Irish Famine in the 1840s, I was hooked. I wanted to tell a story of how that money came to Ireland and that’s how I wrote my first book – a tale spanning two countries and one which was also set in the present. After that book I was on a roll and have since written three more. What was your connection or fascination with that particular time? I’ve always been interested in those periods in which life is put on the line. I wonder how I would react if placed in a similar situation. With regards to World War 1, after which The Golden Grave is set, I wondered at what it would be like to face death on a daily basis and what the psychological impact of such an experience would have, particularly if one had to revisit such a place so soon afterwards. How comfortable do you feel writing about history? How did you research for it? I’m not daunted by it, mainly because I feel I don’t need to research exhaustively for it. If I have a good hook for my story then I can hone my research to suit. So far, I’ve written two books set during and after World War 1. My next book is set in 1923, so a lot of the previous research I have done regarding clothing etc can be brought to bear again. I also find old photographs hugely useful for helping me describe things. The first book I wrote (yet to be published) was set on a Native American reservation in the 1840s and the present time, so that took a lot of research as I had never been to that part of America and had to rely on textbooks and internet searches to try to capture the feel of the place. That type of research is time consuming but great fun when it all starts to fit together. I found in this particular book that I could draw quite a lot on invention. I had already researched a fair bit about World War 1 for my first book, so I could bring that knowledge into play. This time out I had to research the geography of the area. There is one section of the book in which there is a pursuit across Europe. I wanted to find somewhere that could be used for the grand finale. That required looking at lots of maps up close and trying to make sure that the routes and destinations that I was looking at where viable in the 1920s. I was looking at a documentary on TV about the excavation of a World War 1 bunker. That got me thinking about what might be down there and of all those who may have died in its vicinity during the war. The documentary itself was a great help in terms of visual clues as to what to write about. Tell us about the concept. Where is the story going from here? Do you know already? How many instalments are you planning? It is part of a series. The first book Tan: A Story of Exile, Betrayal and Revenge introduced the reader to Liam Mannion, a former British soldier-turned –IRA officer during the War of Independence in the 1920s. The Golden Grave gives further insights into Liam’s background and takes him in a very different direction this time – back to the place that haunts his dreams. I’m working on a third book at the moment. I have to say I’ve been struggling with the plot structure on that one. It’s set during the Irish treaty talks with the British around this time, and focuses on a plot to kill the republican leader Michael Collins It’s going to be quite complex in terms of character relationships and motivations. I’ve already started it but decided to stop until I completely iron out the direction it will take. After that, I’m pretty sure there will be a fourth book based around the Irish Civil War, but best to get number three out of the way first. I write on the 50-minute commute into work and back again, and also on my lunch break. I aim for one thousand words a day. Sometimes I don’t reach that figure, but that’s the daily goal when I’m writing. Ironically, I have more time in the evenings but just don’t have the motivation. I can’t remember. I tend to write the book, then go over it again, then leave it aside before going over it yet again with somewhat fresh eyes. At this point I ask other people to read it and to give me feedback, then I act on what they’ve suggested. After that I’ll go over it once more before calling it a day – you have to stop revising at some stage. In one regard the book is about the search for a lost treasure. I had to make sure that there was enough meat on the bone of this story other than that search for gold. I worried if there would be enough to sustain the story, so I tried to create characters that would help do that once the basic element of searching was finished. The thing I like least about writing isn’t really about writing at all – it is the promotion required once the book is published (no offence, Christoph!). I’d rather just write and let someone else take care of that end of things, but unfortunately that’s not possible. My fellow authors are my editors and my own eye. I am an editor by profession, so that helps. Having said that, you should NEVER edit your own work. I tend to break that rule when I write, purely for economic reasons. I also use Critique Circle for feedback. It is very helpful. I take it on the chin, If it is constructive I may well act on it. However, it depends who is doing the critiquing to be honest. If I respect the writer and know that they can write well, then I will act on their suggestions. If I get feedback from people on CC that I don’t know then I will look at the overall feedback and then make changes. I like quite a few – Robert Harris, Sebastian Faulks, Tom Wolfe, John Connolly. What I like about Connolly is that he has a beautiful turn of phrase and uses it to great effect in the build-up of his scenes. At the same time he grabs the reader and usually keeps the pace right up ‘til the end. When I was in school I read Wuthering Heights eight times. I loved the mood of the book and the characters. I read a book by Tom Clancy called Without Remorse about four times, because I loved the arc of the story and was fascinated with how he did that. I have read Tom Wolfe’s A Man in Full a couple of times, purely because Wolfe is just a genius when it comes to description. Liam would probably give a bit of a dismissive sniff and then move on to something more important. Others, like Clem Green, would probably not get past the first page. I think Liam’s other half – Kate might enjoy it, though. Who are your favourite characters and why? Who would play your characters in a movie? In The Golden Grave. I like Liam’s character, – he’s a decent bloke wrestling with complex memories and trying to do the decent thing in turbulent times. I had good fun writing the sneakier characters – such as the femme fatale Sabine and her co-conspirator Durer. I also liked the humanity and decency of Ben Sweetman, a gentle giant if ever there was one. To be honest, I never thought who might play the characters if The Golden Grave was made into a film. As I mentioned earlier, I’m writing a third book on Liam, with a fourth likely after that. I also would like to see two other novels I have written being published. I need to go through them again and make a few changes first. After that I have a small idea brewing in the back of my head for a modern crime story about a serial killer…as you do.